We had a looong winter this year, and for a while it seemed that Spring has decided not to pay us a visit this year. It did, if a bit late. And then, suddenly, the summer arrived. Surprisingly, my vegetable garden seems to like this long winter/late spring/sudden summer a lot. My salad leaves and leafy greens (kale, Swiss chard/mangold, sprouting broccoli) are really thriving, the radishes gave us a bumper crop. 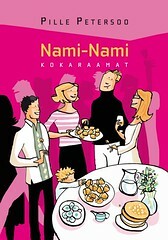 The tomatoes, beets, carrots - you name it - all seem to be having a great time! 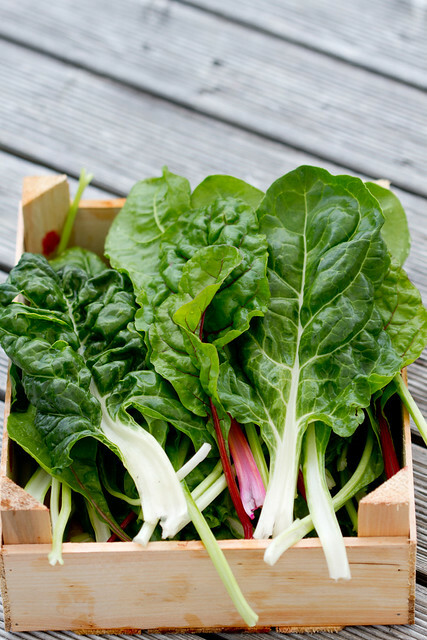 And we'll surely be eating lots of Swiss chard this summer! My first mangold dish of the season? This Swiss chard, ricotta and tomato bake, of course. 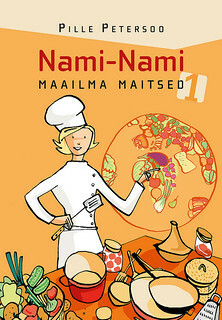 However, then I was a bit lost again, as I couldn't decide which one to pick from those 20 recipes on my Estonian site. I turned my (well, Nami-Nami's) Facebook fans (all 17 000 + of them!) 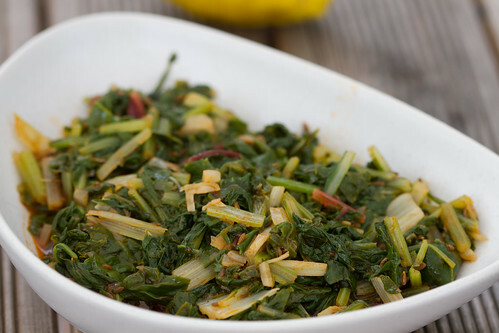 for their favourite Swiss chard/mangold recipes, and one of them, Nelli, recommended this salad recipe on Shelly's QuickQuickYumYum blog. Thank you, Nelli - and Shelly! Rinse the mangold leaves, leave to soak in cold water for 5-10 minutes. Drain and cut into strips about 1 cm wide (just under half an inch). Heat a large wok or frying pan, add the mangold, a few spoonfuls of water and heat for 5 minutes. Stir every now and then. Mix the dressing ingredients (except lemon juice). 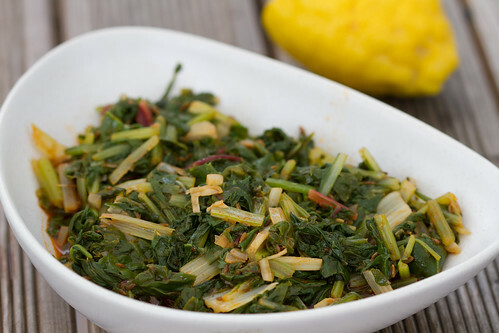 Pour over the mangold leaves and continue sautéing for another 5-7 minutes, until chard is soft. Remove from the heat, drizzle with lemon juice, taste for seasoning (add more salt, if necessary). This sounds so delicious! I recently tried a very similar recipe that included grilled olives as well. I love salad and this is great addition to my recipe. Thanks for sharing this one. Love to eat your blog :)!